At McElroy Metal, we believe that close proximity is a key component to providing superior customer service. As our business has expanded over the years, we have also expanded our network of Service Centers across the United States to better serve our customer base. 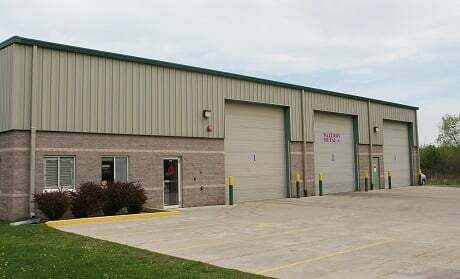 Our McFarland, WI Service Center enables us to provide prompt and reliable delivery of our metal roofing and siding products, along with unbeatable service to our home and commercial customers, contractors and distributors throughout Madison, WI and southern Wisconsin. We’re always there when you need us — feel free to contact us for all of your metal roofing and siding needs!